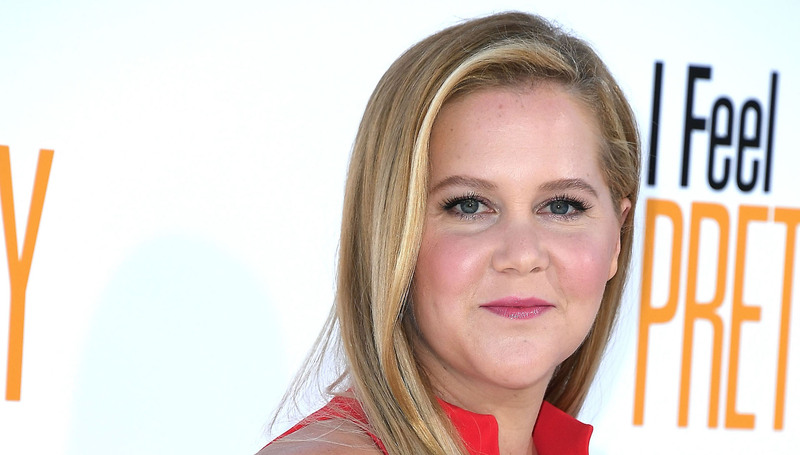 Actor, comedian and pregnant person extraordinaire Amy Schumer is shameless in the best way. She knew we (and millions of others) could not resist a video clip of her ultrasound, so she added a reminder to vote on Nov. 6. Sneaky lady. The footage was dated Oct. 16, but Schumer shared it Tuesday. “It’s moving all around! Oh my God, oh my God, see, it has so much energy — that’s why I’m puking every day,” Schumer joked while watching the baby on the ultrasound. Her caption was definitely more civic duty than diaper duty: "Happy Election Eve! You can look up your polling place + hours by texting LOCATION to 21333. And you can look up a sample ballot to be prepared at vote411.org/ballot. Make a plan to #vote and let's make history tomorrow!… (Feel free to copy this + send it to everyone.) thanks @piperperabo." Leave it to Amy Schumer to make voting seem like fun. Of course, the trolls are always out on Schumer's social media (don't tell us you're surprised by that). Male followers seemed especially threatened by all the attention Schumer's been getting, as evidenced by eloquent comments like this: "shut it dog face! God all you liberal women are dogs." Let's see that dude go head-to-head with Schumer. She'd eat him for breakfast. Fortunately, the majority of commenters praised Schumer for her willingness to talk the talk and walk the walk. "Love the disguise!" wrote one. "You voted for two… once your little one arrives, the desire to make the world better in general and for all children specifically will blow your mind. Mama Bear is a whole other level!" said another. We're voting Amy Schumer for favorite currently pregnant person. Our apologies to the runner-up, the Duchess of Sussex, formerly known as Meghan Markle.